For decades, we've been providing hay and straw by the bale or by the truck full. 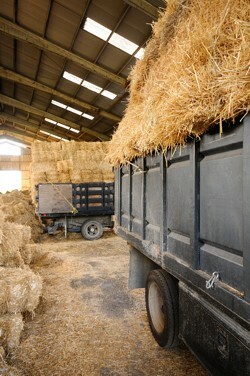 Hay for feed, straw for stalls or bedding, bales for landscaping projects and construction site silt walls. 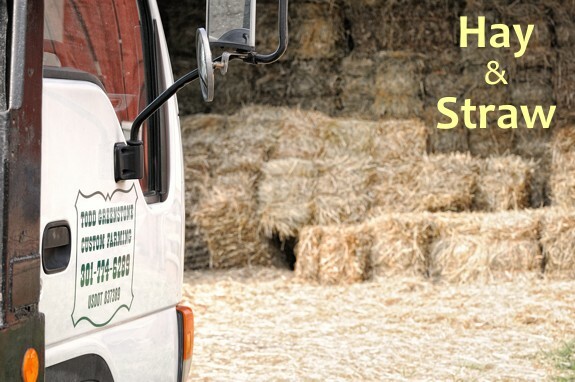 Our customers find a thousand ways to put our straw to work, and we have it covered from truckloads of certified straw for state highway departments down to a few bales for your hobby farm. If you're interested in asking us about large or recurring site deliveries for commercial projects, we can talk specifically about products and services aimed at commerical erosion control. We now also provide round 4X5 bales and large square bales of straw. Our additional new bales sizes are a perfect match for the commercial seeding-cover machinery used in pipeline installation, and we're now regularly delivering to ongoing shale gas projects in Pennsylvania and West Virginia. Let us know if you'd like to pick up, or have us deliver.